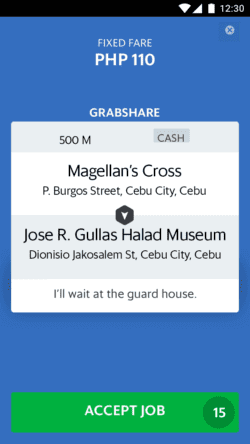 GrabShare is an on-demand carpooling service where passengers who are headed in the same direction are matched. Carpooling allows you to take more passengers with you (unlike in GrabCar where you only have one booking) who are headed in the same direction. 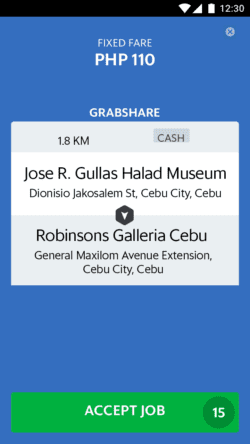 With GrabShare, you’ll get more bookings (up to max car capacity) which means more earnings for you! 🚗 Lesser cars on the road which means less traffic. 👥 You can get 2-4 bookings per GrabShare trip which means more earnings for you! Tap ‘Accept Job’ and pick up passenger 1. Another job card will appear if there’s another match. Tap ‘Accept Job’ and pick up passenger 2. Follow the trip sequence which is shown from the left to the right. Drop-off passengers by following the job card sequence. A: GrabShare is an on-demand carpooling service, where passengers can book at any time at a reduced cost and it allows them to carpool with multiple parties headed in the same direction. Q: How will I know if the booking is a GrabShare booking? Q: How many people can I accept per GrabShare booking? A: A passenger can only bring one (1) additional passenger (max of 2 pax) per booking. If there are more than 2 passengers on a single booking, you may cancel the booking and ask them to book a GrabCar instead. Q: What is the maximum capacity for GrabShare bookings? A: This depends on your vehicle’s maximum car capacity. Q: What should I do if there are more passengers or baggage than what was booked in GrabShare? 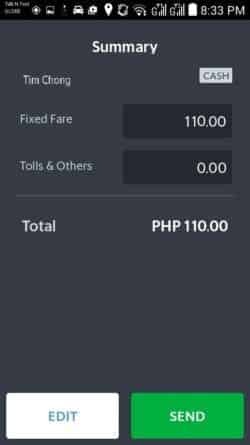 A: Inform passengers that GrabShare follows the indicated number of seats selected by passengers – it has a maximum of 2 seats per booking (you may opt to cancel using the reason “Too many passengers or baggage”). Q: If the passenger cancelled the trip, will I still be able to get another GrabShare booking? Q: How long is the waiting time? Q: How do I know how many passengers are riding per booking? A: The pick up screen on the upper left corner of the map shows the number of passengers per booking. Q: How will I know who’s being dropped off first? A: Just check the Grab app and follow the sequence shown in the job card. Q: What if the passenger requests to be dropped off first? A: Kindly advise the passenger that we will follow the job card sequence. 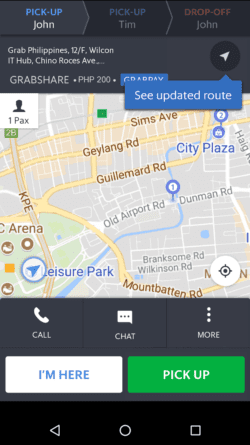 Q: Why is GrabShare cheaper than a GrabCar ride? A: GrabShare allows passengers to share the ride with other passengers, which in turn can mean that the ride will have stopovers in between unlike a GrabCar ride. 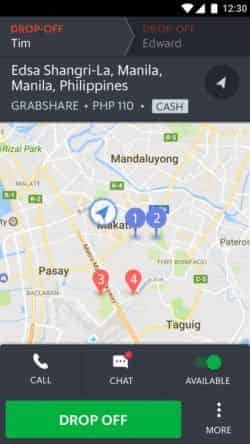 Q: How do I report issues with GrabShare trips? A: On your Grab Driver app, click HISTORY then choose the specific booking you want to report. Click “Give Feedback” and then select from the options page and/or add your comments to the report.